A third of footy fans think England WILL win the World Cup – but not in their lifetime, according to a study. 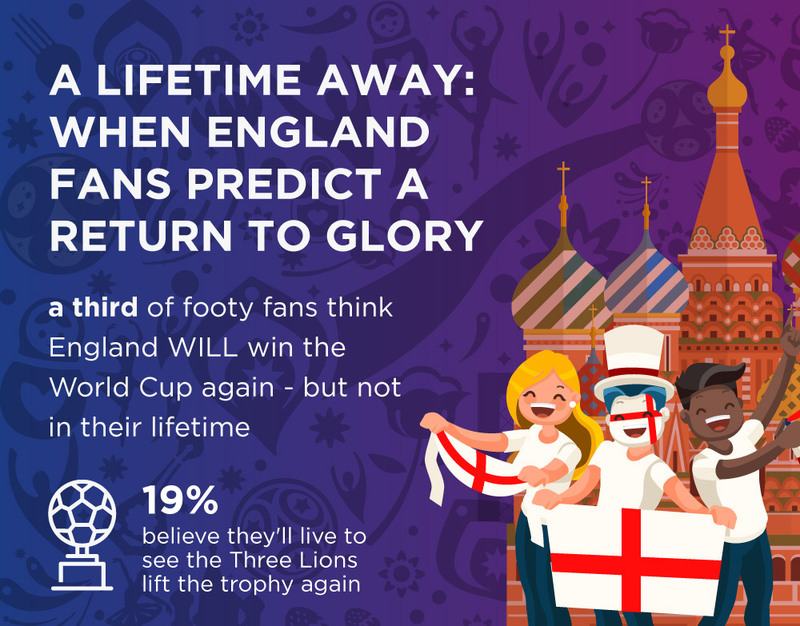 The poll of 2,000 supporters found a further 19 per cent are more optimistic and believe they’ll live to see the Three Lions lift the trophy again – but not necessarily in Russia this year. One third also think the Harry Kane and co. will put in a respectable show and reach the last eight. It also emerged around one in 10 think Gareth Southgate’s squad will replicate the achievements of the legendary Italia ’90 side and reach the semis. 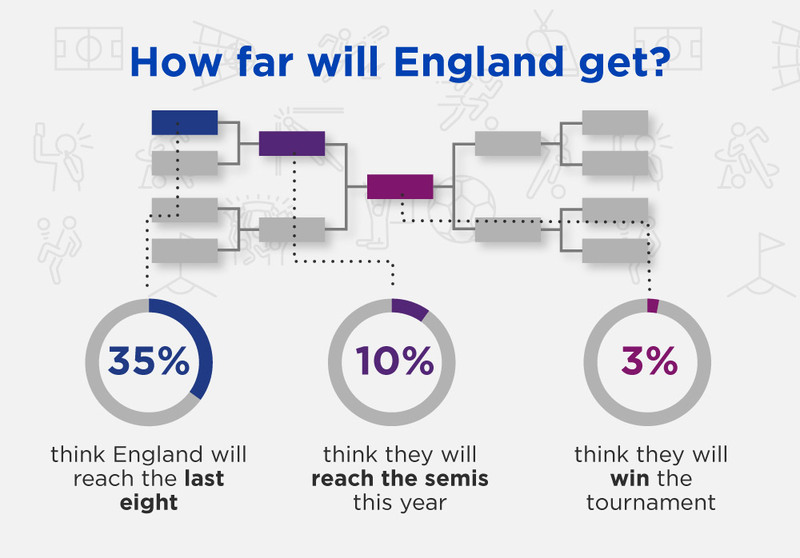 And although just three per cent are confident England will win the tournament this year one thing is certain – there will be no lack of passion from the English fans. 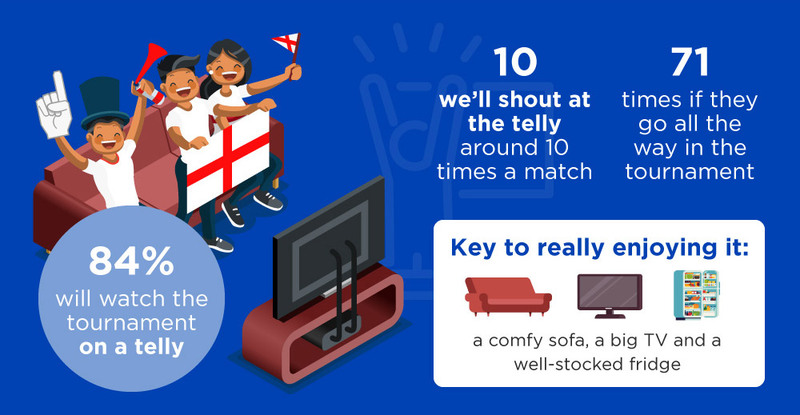 The study, commissioned by the UK’s largest electrical retailer, Currys PC World, found they will scream and shout at the telly 10 times per match on average following the Three Lions this summer. This could potentially rise to 71 times if they get all the way to the final and manage to avoid extra time or penalties in the process. And should the Three Lions get to the final, England fans will knock back at least 24 alcoholic beverages during match time – and more if they emerge from Russia victorious. 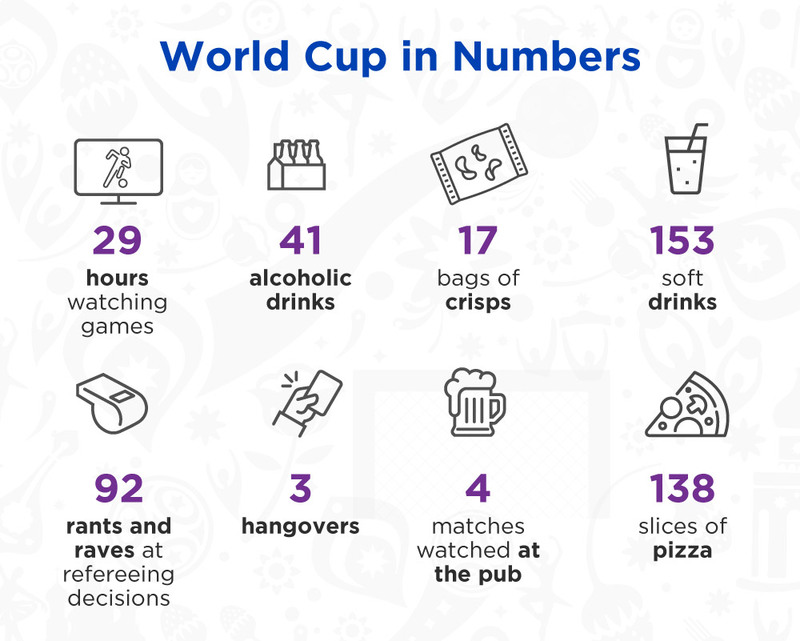 Amid this, those polled will consume 41 alcoholic beverages, watch a total of four matches down the pub – and suffer from three hangovers during the World Cup. 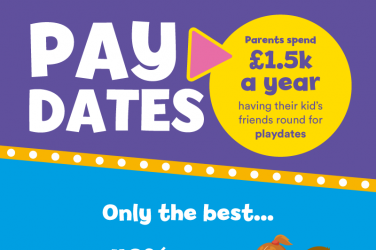 In total, they will watch 29 hours of games this World Cup and tuck into 17 bags of crisps along the way. It also emerged 14 per cent intend to put an England flag or sticker on their car this World Cup and 16 per cent plan to display one in a window at home. 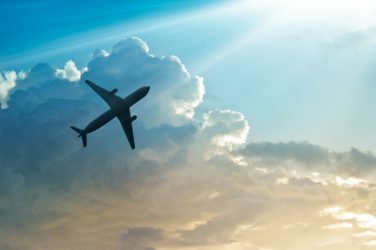 The research also found 84 per cent of fans will watch the tournament on a telly and most – seven in 10 – will enjoy it in the comfort of their home. And the key to really enjoying it, according to those polled, is a comfy sofa, a big TV and a well-stocked fridge. One thing that might hamper their enjoyment however is Video Assistant Refereeing (VAR) – more than one quarter think the new tech is ‘taking away the spirit of football’. However 52 per cent believe VAR will improve this year’s World Cup. Matt Walburn added: “With the at-home viewing experience now better than ever thanks to the latest technology, including 4K and HDR, it’s easy to see why a big TV is key to really enjoying the matches.